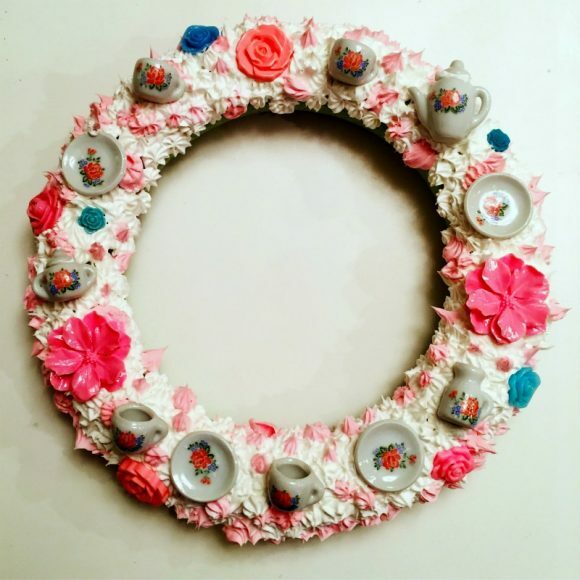 Today’s wreath will teach you how to decorate a wreath form with frosting-like clay (decoden), and embed an adorable tiny tea set, creating the cutest wreath for tea lovers. I got the wreath form at the dollar store, and the rest of the supplies for this craft from my stash. 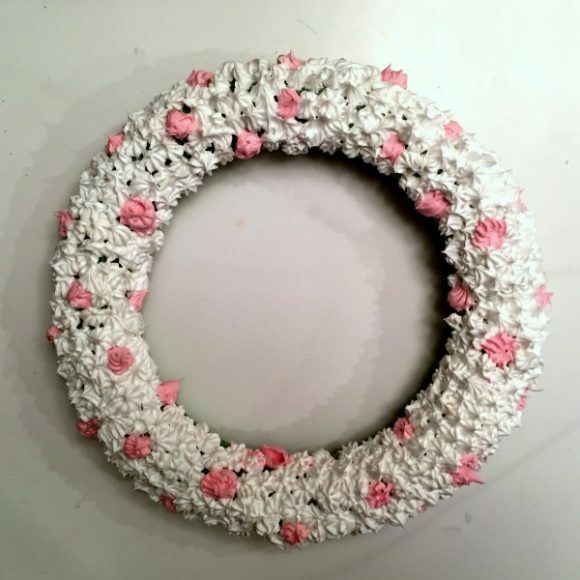 This wreath is super easy to make, and it looks so darn cute when it’s finished. 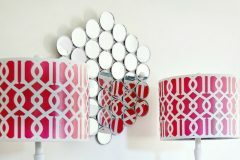 Have you heard of decoden? 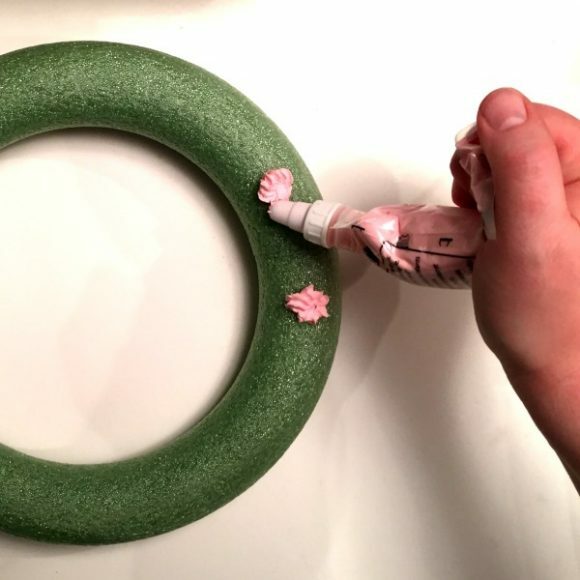 It’s a silicone clay that looks like frosting, and is great for decorating just about any item. 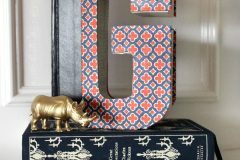 You can embed little trinkets, rhinestones, or other items in the clay, and when it dries it looks like a delicious, whimsical, treat, but it’s completely permanent. For this project, I used Mod Podge Collage Clay, which is by far the easiest and quickest version of decoden frosting I have found. You can also create your own “frosting” with silicone caulk and a decorating tube nozzle. I got the tiny tea set in the $1-2 dollar section at my local toy store, but you can sometimes find comparable tea sets at your local dollar store. The resin flower cabochons can be purchased from many different online places, including Amazon, eBay, and Etsy. 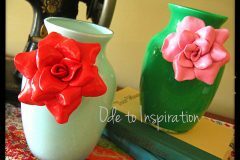 If you use Mod Podge Collage Clay, this step is very simple. Remove the lid on the pouch of collage clay, screw on your chosen frosting tip (several tips are included in the box), and start decorating. 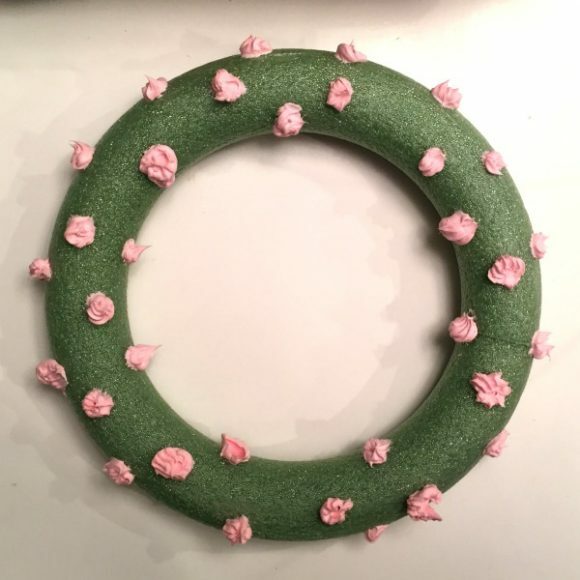 I chose the star tip and decided to pipe random stars of pink frosting on my wreath form. 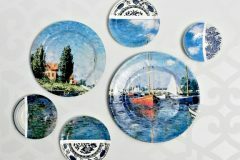 If you are concerned with perfection, you can practice on a scrap surface first, but remember, you will be embedding things into the collage clay later, so you can easily cover up any ugly frosting dollops. 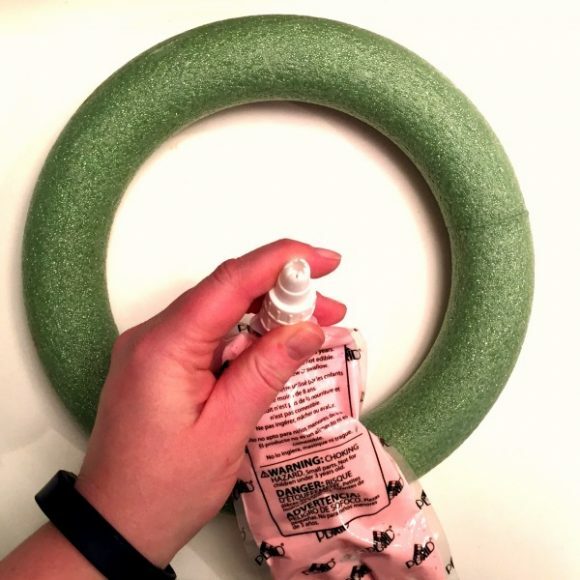 Squeeze from the bottom of the tube and lift the tip to create a star. As you can see, my frosting dollops weren’t that good. I think it’s because I got the collage clay out of my cold garage and it needed to come to room temperature first. You can solve this problem by leaving the lid on the pouch of frosting and gently kneading it for a minute or two. 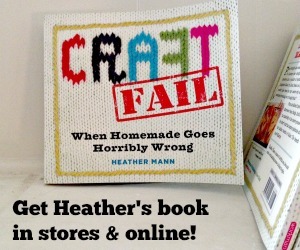 Or, just keep your collage clay inside your house instead of in your freezing cold garage! Next, fill in the rest of the wreath with white frosting. As you can see, I have a few gaps in some areas of my wreath. This is something we can fix later. 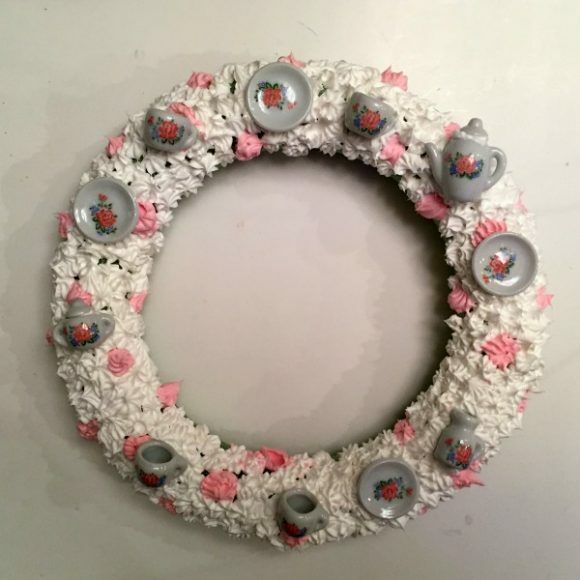 Space your tea set around the wreath. 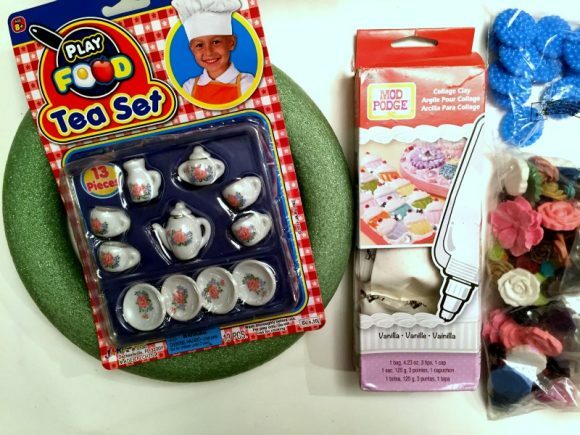 Use a dollop of decoden frosting to keep the lids on the teapot and sugar bowl. Add the resin flower cabochons to fill in the blank spots. I also added some contrasting blue flowers around the wreath to add a little bit of visual interest. Fill in any remaining gaps in frosting with the rest of the frosting. Let the decoden frosting dry overnight, or according to package instructions. See all the wreath a day wreaths here!